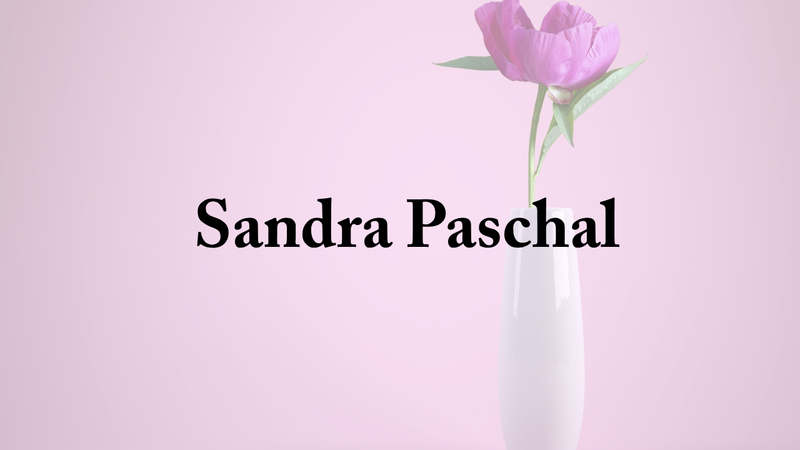 Funeral services for Mrs. Sandra Marie "Sandy" Paschal, 75, of Cullman are Tuesday, January 22, 2018 at 12 p.m. at Cullman Funeral Home, Bro. Gary Sartin and Bro. Roger James officiating. Visitation on Tuesday from 11 a.m. to 12 p.m.
A funeral service and burial will be held in Michigan on Friday, January 25, 2019 at 12 p.m. at Janowiak Funeral Home, 320 North Washington Street, Ypsilanti, Michigan 48197. Visitation will be from 11 a.m. to 12 p.m. Burial in Pinckney Cemetery in Pinckney, Michigan. Mrs. Paschal passed away on Saturday, January 19, 2019. She was born in Ypsilanti, Michigan on February 4, 1943. She is survived by her husband, Donald; sons, Robert, Dewayne and Rodney; daughter, Mary; brother, David; sisters, Tina and Debbie; nine grandchildren and ten great grandchildren. In lieu of flowers, please make donations to Gideon's International or Comfort Care Hospice.